Money is not the only consideration when is comes to choosing synthetic grass. There are several other factors that need to be thought through before purchasing your evergreen lawn that will last for years to come. After all, synthetic grass is a major investment. Here are a few things to consider before making your decision. How often will your new synthetic grass lawn be used? How many feet or paws will be treading their way across the surface every day? Usage is an important consideration for sure. If you choose a turf not designed to stand up to heavy use from people or pets, your investment could wear out rather quickly. If your kids love playing outdoors, and your pets just have to romp in the sunshine a few times each day, choose a durable turf. Something like our NewGrass Premium product would work just fine. It looks natural, feels soft, is non-abrasive and very durable. Good quality synthetic grass will be made of polypropylene, polyamide, polyethylene yarns or a mixture of all three. Furthermore, you will find quality turf products to be evenly backed, color consistent and contain well stitched tufts. Expect to pay more when choosing synthetic grass that is well made. Don’t let that deter you though. In the long run you will save more. Synthetic grass is a game where quality products win every time. This is why NewGrass spends most of its effort selecting an inventory that will meet, or exceed, your synthetic grass lawn needs. Don’t be afraid to ask for samples, either, especially if you are purchasing online. You want to experience the product first hand before setting up an installation. This is a product you have to see and touch before making a purchase decision. This is simply a measurement of blade length from just above the backing to the end of its tip. And while it might be tempting to select a long blade, be careful. They do create a full and lush look in the beginning. However, over time they will bend over, causing your yard to look flat. To stand it up again will require a lot of time sweeping with a broom. For optimum look and feel, the recommended blade length is 30-37mm. Choosing synthetic grass with this pile height will give you a natural lawn that looks fresh, yet manicured. You will still have to stand the blades up with a broom every now and then, but not nearly as often as you would with a larger pile height. When choosing synthetic grass, density refers to the number of synthetic yarns per square foot of turf. Synthetic grass with a higher turf density is more durable. They are more expensive too. Concessions can be made for density if price is a factor and you can compensate with infill to a degree. At NewGrass, we will work with you to make sure your lawn fits both your financial, usage and aesthetic needs. As for weight, the higher the quality, the more your synthetic grass will weigh. Of course, this is of no consequence during a traditional install. However, if you are installing a green space on a patio for a high rise condo, or roof top bar for instance, you will need to check the load bearing of the structure to make sure you can install that particular type of synthetic grass. When choosing synthetic grass, infill types vary. Most often, sand and gravel are used as part of the install process. There are other types of infill too. The purpose is to keep your lawn springy and resilient. Talk over options with your installation company to see what works best for you. As for synthetic grass backing, polyurethane or latex are used. Poly backed synthetic grass does not expand and contract; latex does. If you are installing your turf in an area known for extreme heat, go with a polyurethane backed product. This will ensure your lawn does not shrink or expand, causing bubbles, ripples and tears. This is an important one. It can be tempting to choose a grass that looks really green, however, take caution. Once installed, it will stick out like a sore thumb. Most of those super green grass products are cheap too. You will have durability issues in the long run. When choosing synthetic grass, it is best to choose a product that has varying shades of green. Olive green, dark green and lime green mixed together will offer a more lush and natural look. Also, look for grass that is not completely uniform. This will add to curb appeal. You may want to look for a product that contains a few brown flecks too. This will make your yard look even more natural and full. The simple rule of thumb is, the more costly the grass, the less you will have to spend to maintain it. Remember that when making your selection. Also, consider other factors too. For instance, if you live in an area where weather could be a factor, that is an important consideration. Also, what does your canopy look like? If you have potential for limbs and other debris to fall on your lawn often, factor that into your decision. 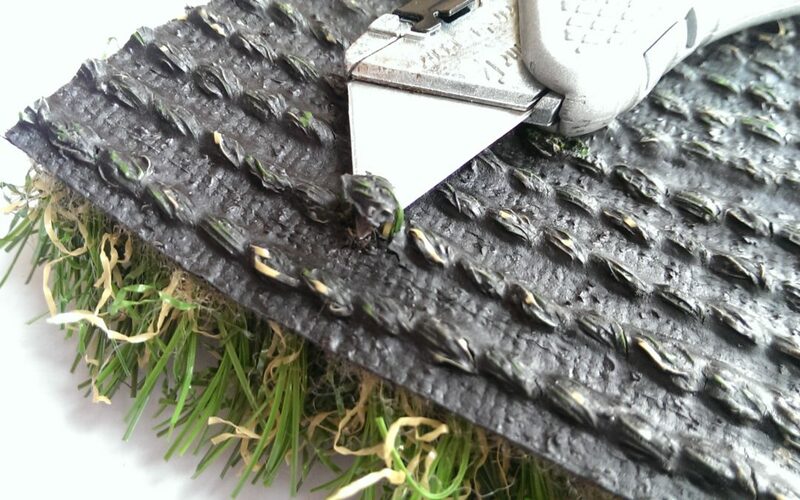 Not only will those items need to be removed, your turf will need to be durable to handle it. Factoring in all of these variables can be challenging or overwhelming. At NewGrass, we are here to help. We know choosing synthetic grass is easier said than done. All of the considerations, different types, price points, it can be confusing. We can help. At NewGrass, we work with synthetic grass products every day. Contact us so we can go over options with you. Together, we will come up with the best solution for you. Your lawn will be durable and look amazing for years to come. The best parts? No more lawn maintenance and a boost to property value!